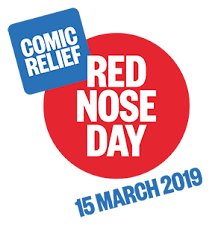 Well done to the Year 5 and 6 children who planned, organised and ran their own activity stalls on Red Nose Day to raise money for Comic Relief. As a school, we raised over £900 which is a fabulous achievement! Thank you to all of the children for their enthusiasm, for working hard, for wearing red and for spending money to help this wonderful charity. Welcome back Class Turquoise! I hope that you enjoyed your half term break and are ready for another busy, fun filled half term ahead. This half term our theme is 'We will Survive.' This will be Geography and Science based and we will learn about different climates, biomes and the animals that live in cold and hot places. This half term's homework is a Gepography based project and the deatils can be found below. Our theme for spring is 'All at Sea,' and is based around the wonderful story of Kensuke's Kingdom by Michael Morpurgo. We will be using aspects of the story and computer technology to explore and learn about different places around the world. We will also be learning new skills in survival and how to make a survival blanket. In Year 5, we are really developing responsibility for ourselves and others. We have lots of opportunities to work independently and let our personalities shine. Our curriculum is linked across subjects to make it meaningful, purposeful and exciting. We will upload each theme overview so that you can see what teaching and learning will be taking place. Please feel free to drop in and see Mrs Tomlin if you have any concerns or just a question or two. We will always welcome offers from parents to support in the classroom, whether for the occasional day or on a more regular basis. P.E is on Mondays and Tuesdays. A full indoor and outdoor P.E kit is expected to be in school for them to wear so that they can fully participate. Spelling homework is given out every second Thursday and due in on the Tuesday two weeks later. Three in a Row Homework is given out once every half term and a letter will be sent home with more details. The current Three is a Row is a Geography based project and is due to be handed in on Tuesday 2nd April. A copy of the homeowrk can be found attached further down the page. All children have a Times Table Rock Stars log-in and we encourage them to practise these at home. All children have a library pin and can exchange their books at school when needed. We do encourage the children to use the library regularly and independently. Even though your child may be a fluent reader, it is still very important that they are reading regularly at home and discussing what they have read.